Ask The Experts: Can Employers Screen Job Applicants Based on Criminal Records? An employer’s use of a job applicant's criminal history in making employment decisions may, in some instances, violate the prohibition against employment discrimination under Title VII of the Civil Rights Act of 1964. The U.S. Equal Employment Opportunity Commission (EEOC) has issued new guidance, urging employers to review their hiring policies to make sure they are not engaging in racial discrimination when they screen applicants based on any previous criminal history. Is this a radical departure in hiring guidelines? Not at all, says Gail Heriot, professor of law at the University of San Diego – one of several experts we consulted on the issue. The EEOC’s recent guidance has been accompanied by increased enforcement activity against employers who hire employees for sensitive positions, such as security guard, and use prior criminal history as a screening tool. Brenda Smith, a law professor at American University, says the EEOC is simply using its authority to foster legal compliance and avoid unintended consequences as new socioeconomic trends emerge. As the EEOC becomes more aggressive on this point, a legal challenge should not be unexpected if a business finds itself facing federal sanctions because it declined to hire someone with a criminal record. “To some extent, that challenge will depend on the plaintiff's particular argument, the job at issue, and what kind of discrimination is at issue,” said Marcia L. McCormick, a professor at the St. Louis University School of Law. 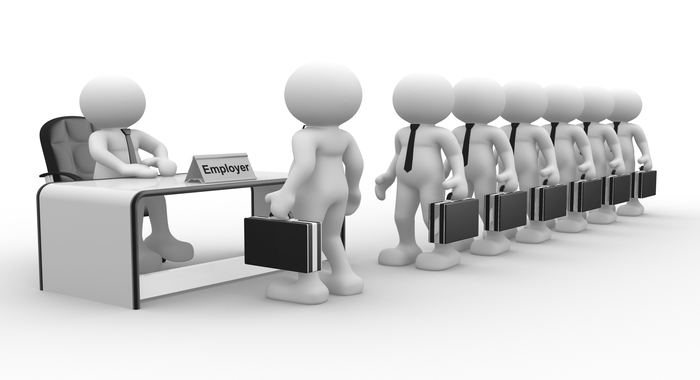 How can employers avoid EEOC litigation in response to their hiring criteria? Marina Angel, a law professor at Temple University, suggests employers only consider offenses for a limited time, if the conviction is for an offense specifically related to the job in question. Charles Shanor, a law professor at Emory University, says the easy answer is for employers to simply follow the EEOC guidance. Do you see this as a significant departure in enforcement? Is this ruling likely to be challenged in court, and if so, on what grounds? How should businesses adjust their employment policies to be sure they are in compliance with the law? PREVIOUS ARTICLEAsk The Experts: What Should We Do with the Charitable Giving Tax Deduction?NEXT ARTICLE What Is Comprehensive Car Insurance?